Boston Beer & Cheese Fest - 1:00-4:30 & 6:00-9:30 — Essex County Brewing Co.
Come visit Essex County Brewing Co. at the Boston Beer & Cheese Fest! After debuting this event in 2015 we knew we had a winner! And each year we've worked hard to make the next one even better than the last. 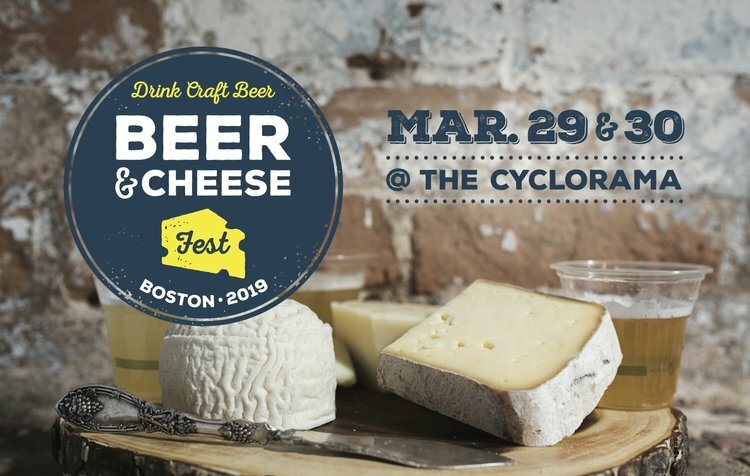 If you’re in the know, you realize that beer and cheese go together in ways most people wouldn’t believe…if you DON’T think that beer and cheese are a magical pairing, then the Boston Beer & Cheese Fest 2019 will be a wake-up call that you can’t miss! Last year sold out well in advance, so we're going BIGGER and BETTER each year! Find out why Drink Craft Beer was awarded Boston magazine's Best of Boston® 2014 - Best Booze Fest!